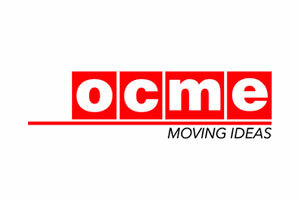 Italian company Ocme is well known throughout the world for its excellent filling and packaging technology. Its machines are, for instance, used by almost all major international beverage, food, oil and personal care companies. With offices in the UK, the USA, France and China, Ocme have an exclusive representation agreement in sub-Saharan Africa with Millchem. Ocme’s machines are well known for extremely high quality, reliability and high performance together with excellent back up service. Its machinery has been particularly sought after by large beverage companies because of their high speed and flexibility (for quick change-over and thus capacity to run different products).